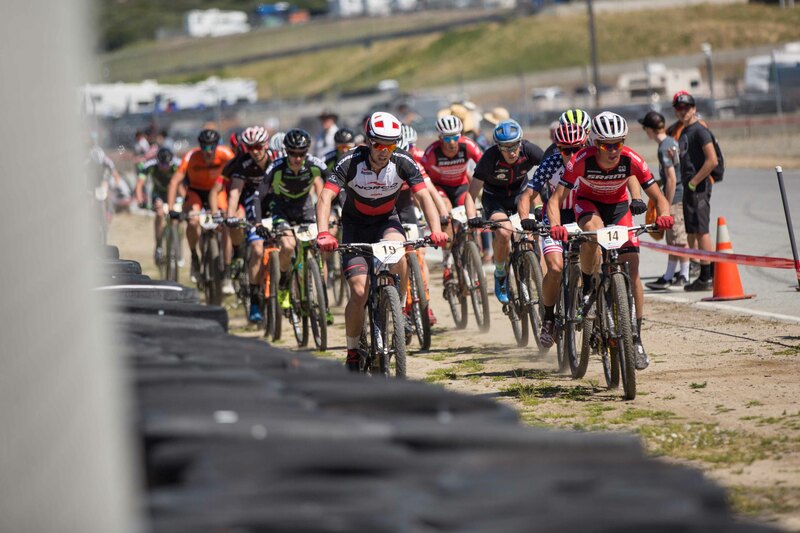 The biggest bike festival in North America and the unofficial kick off to the season – welcome to Sea Otter Classic at the Leguna Seca Raceway! The week for myself started off with some of the University of Guelph’s finest Heat & Mass Transfer material. After a beautiful week in Aptos I crammed in some studying in preparation for the upcoming final exam. I’m very fortunate to have some accommodating professors who have allowed me to me write final exams while on the road. 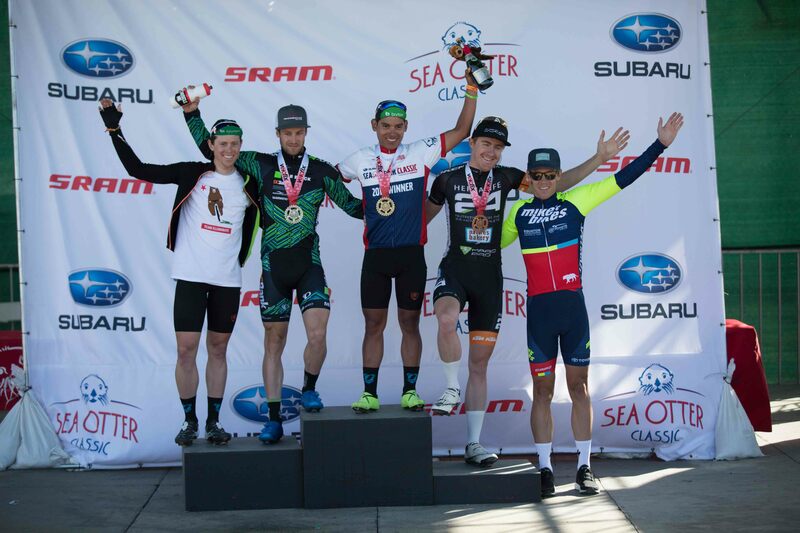 This is my second year doing this and without this accommodation, Sea Otter would not be possible for me. With the exam over and out of the way Tuesday evening, it was time to focus on the racing. Friday was the short track. This year the short track was a little more of a long track. Still, the course was fun, involved a sand pit (hit the rut) and a lot of pinning it on the flats. I decided I would lay it all out there early and let the chips fall where they may. I made the front group which included lots of heavy hitters, but also lots of riders in general. This large group rolled a few laps before Nino and Sam Gaze rolled off the front. From that point, the larger group and I were racing for 3rd as they were uncatchable off the front. A few attacks here and there – I almost got clear on one – but the group’s size was cut down making the odds a little better for me. Going into the finish, Kabush attacked (as expected) but I was in the red and couldn’t respond soon enough. Unfortunately I was then squeezed out by Todd and Howard, but that’s racing. 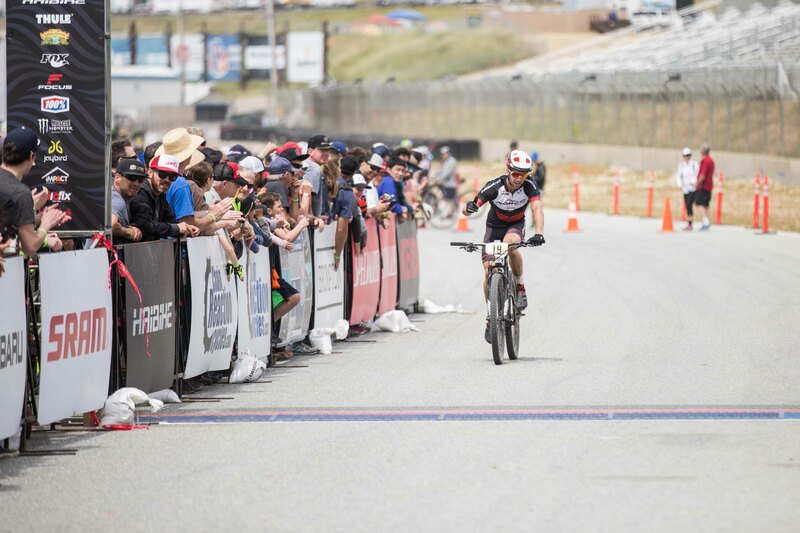 I started sprinting when Evan Guthrie pulled off on the finishing strait, which I thought was odd but upon chatting after the race it was because he had lost count of the laps. Oops… I rolled in just off the podium in 6th. Very pleased, but little did I know what was in store for me in the coming days. 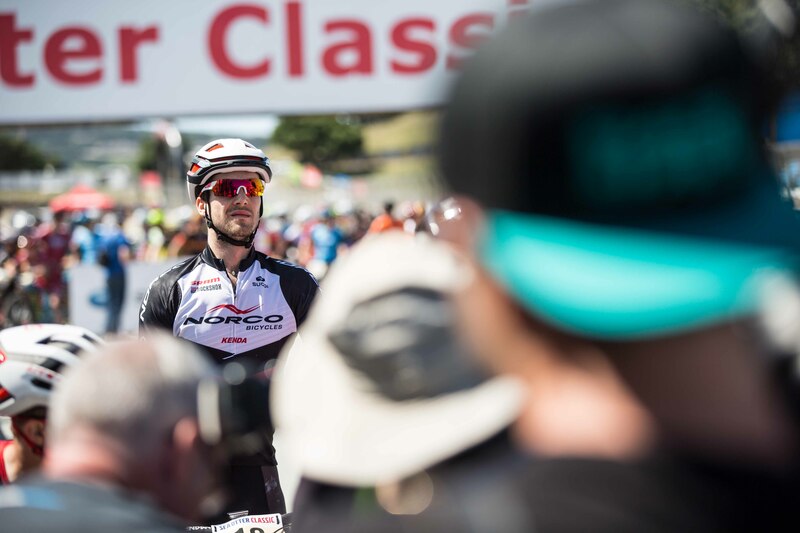 Saturday was the XCO event. A lovely uphill sand pit, lots of off-camber grass, and a pile of rocks littered the course as technical features. Still, even with the lack of tech I made a last minute decision for my Revolver FS and Kenda Kozmic 2.2 in the front and Saber Pro 2.2 in the rear to add a little more traction and keep it plush and fast. Here I had a crap start (compared to the short track) and had to put in some serious work which paid off when I tagged the front group by the end of the first lap just in time for them to attack up the climb. The group was relatively large but attacks on the main climb on each lap forced selection, and the group got smaller and smaller. I wasn’t able to follow every move on the climb but I was able to put in power for the following minutes and chase on. With 2 laps to go I was riding in 5th after Sam suffered an unfortunate flat. Sam then got a wheel change and blasted back through the field inconveniently dragging Cameron Ivory up to me, turning my 5th place into a three way battle for 5th. Cam came around me on the final climb of the course when I had nothing left, and claimed 5th. Again 6th place for me, which is still amazing and my best result by far, however just off the podium (top 5) again! Sunday, (yes we are still racing) was the circuit road race with H&R Block Pro Cycling. I’ll keep this one short and simple. It was very hard. I felt very good for the first 20 minutes to cause a selection, but unfortunately Quinton, my only other teammate, didn’t make it. I then rolled around for an hour in the break, the winning rider went solo, the wind was wild so I thought he would just tire and we would still have a group sprint but this was not the case, he was really strong. There as a group sprint for 2nd, and I was able to take group top spot and finally a spot on the podium. I won this event last year so 2nd stung a little, but considering how trashed my legs were after the MTB events I was happy to pull this off and get a spot on the steps. 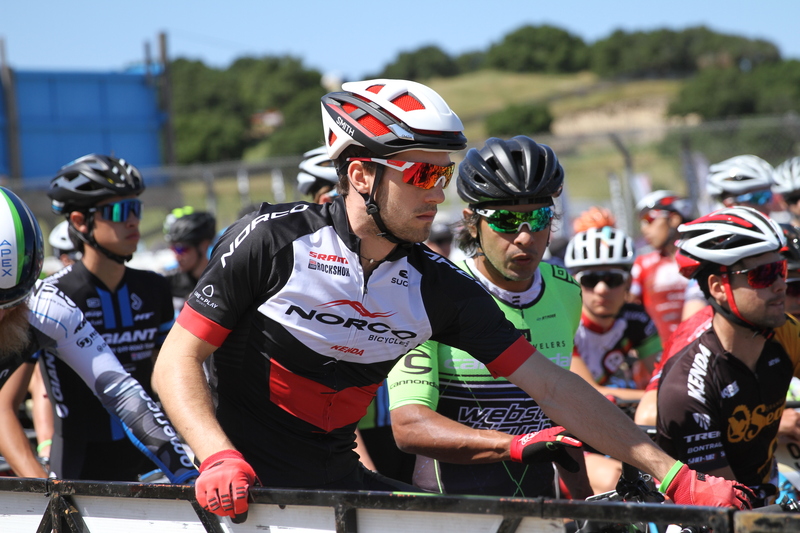 A huge thank you to Norco Bicycles for all of their support all weekend. Another thank you to our sponsors we met with this weekend and look forward to working with in the future: DT Swiss, HT, Smith, Kenda, SRAM, & GU. Ready to get sendy in 2017!